How many copies of the same records does a person need? 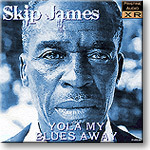 When it comes to those mysterious and timelessly great Paramount blues records of the late ’20’s, as many as it takes. Back when we started listening to them, there would be only one source available and it would be barely audible. But, there’s no doubt that the very challenge of hearing through all those pops, crackles and hisses made us hear all the more for the effort. And the enshrouding noise enhanced the romance and air of mystery. But despite all that, there remained the nagging questions about just what notes were being played on those distant guitars; and the enduring fantasy: what if I could be there and really hear Charley Patton play and sing? The earliest re-releases of the 78’s generally involved turning the treble down to reduce the scratchiness. Sometimes way too far down. They pre-digital Yazoo releases sometimes did different eq’s on each side of the stereo groove, sometimes to good effect. That label had the best releases, and to my ear still does a lot of the time. They get access to the best originals, and use good turntables and stylii (current transfer masters have many custom stylii of different diameters to touch different parts of the groove wall so they can find the sweet spot on different records), getting the best out of the mechanical processes before going digital. Some of the biggest disappointments have been releases from the Columbia Roots & Blues series, which was so exciting because they actually have the original metal master parts in their vaults. But, in spite of working from these pristine sources, they seemed to feel the need to over-process, with the decisions left too much to the software, until every last trace of noise is gone but with much of the feel of the music along with it. The sound is thin and, to me, often annoying. Well, here’s yet another guy jumping into the digital remastering pool, and with yet another approach and to different effect. Andrew Rose at Pristine Audio is working over a number of the greats. He is doing what he calls ‘digital heavy lifting’, working over individual phrases and moments in detail. Patching broken waveforms, working detailed multiple eq’s to try to make the guitar sound like what he thinks the guitar would have sounded like in person. In other words, remaking the record rather than trying to present it as is in best condition. These opposed approaches have advocates who will argue the issue in great detail at endless length. I’ll listen to both and wonder. These records feature selections, rather than the ‘complete in chronological order’ programs that some labels attempt. He doesn’t have access to those ‘best copies available’ original discs, and has to content himself to working from other peoples’ transcriptions from varying sources. That, unfortunately, means that all that hard work is on top of a flawed foundation. Like all other versions before it, this can not be thought of as the ultimate. I’ll just have to keep buying every new remastering that comes along, I guess. These records offer a listening experience that is decidedly worth pursuing, though. There are some nuances of the performance that are far easier to grasp than ever before. And, a great sense of presence to be sure. To my ear, there is just a bit of constriction to the sound; the Yazoo versions exist in a more natural ‘space’, and are ultimately slightly more satisfying emotionally. But, there are definitely revelations to be had from Mr. Rose’s Pristine work. And, if you’re trying to work out a Charley Patton guitar part, this might get you a little closer view of the genius. Support barry chern on Patreon!